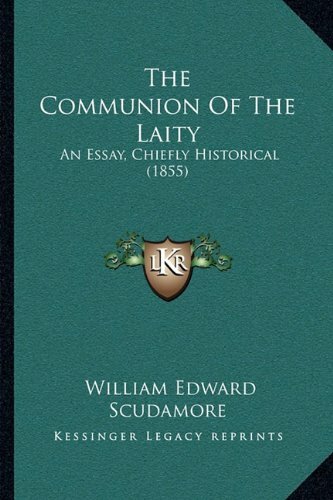 The Communion of the Laity the Communion of the Laity: An Essay, Chiefly Historical (1855) an Essay, Chiefly Historical (1855)@1160 Rs [Mrp:-1160] - Onlinedeals.discount - A leading product discovery website. Find the true prices of products, read reviews and buy top brand products at reasonable prices. On The Rule And Practice Of The Church With Respect To The Reception Of The Consecrated Elements, At The Celebration Of The Holy Eucharist.